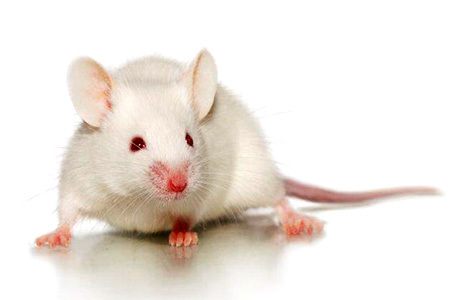 Immune system engrafted mouse models are becoming more widely used in immuno-oncology research. As their universe of applications grows, questions invariably arise. Our immune system engraftment experts collected answers to a few of these commonly asked questions. huNOG mice are NOG mice engrafted with human CD34+ hematopoietic stem cells (HSCs). They display stable engraftment of multiple cell lineages by 12-16 weeks post-injection. Human lymphocytes are present in peripheral blood, bone marrow, thymus and spleen. Long term studies are possible in huNOG mice, with literature reports of stable engraftment and hematopoiesis for one year or more. However, members of the myeloid cell lineages and NK cells are poorly represented or poorly functioning. Not all human immune cell types are present, and some cell types may not be completely functional. Q. I recently saw a poster from Champions Oncology at AACR where they combined huNOG mice with PDX tumor grafts for immuno-oncology drug efficacy testing. When were the huNOG mice engrafted with tumor cells in that study? A. Tumors were engrafted between 10-12 weeks post-HSC engraftment. Q. To clarify, were the tumors tissue-matched to the immune system donor in the huNOG mice? Or can any tumor samples/lines be used? A. For the Champions study presented, the tumors were HLA-A2+ and were matched to HLA-A2+ donor HSCs used to generate the huNOG mice. This study matched just one major HLA group allele. Other researchers may be interested to do more extensive HLA matching, but the impact of more extensive HLA matching on tumor growth is not known. Mismatched immune cells and tumors may be used, but tumor growth may be slower with more immunogenic tumors. However, some researchers feel a mismatch may more accurately represent immune surveillance in a human patient. Tumor cells that successfully grow in an engrafted mouse with mismatched immune cells may represent cells that can evade the immune system. There is also the potential for activation of the immune system caused by the mismatch. This may be useful for immunotherapy proof of concept studies; it may be easier in a partially activated immune system to enhance the immune response to the tumor. Q. When do you see human myeloid cells in huNOG after engraftment? A. We would recommend doing an assessment of myeloid lineages in the huNOG at 16 weeks. They can be observed earlier, but they do take longer to expand. 16 weeks post-engraftment is an appropriate time point to look for them. In the hGM-CSF/hIL3-NOG mouse engrafted with HSCs, there is good myeloid cell expansion at 6-8 wks post-engraftment. BLT-NOG mice are NOG mice injected with CD34+ hematopoietic stem cells (HSCs) and surgically engrafted with donor matched thymus and liver sections. They demonstrate stable engraftment of multiple cell lineages, with enhanced T and B cell function. Engraftment of human thymus leads to HLA restricted education of the T lymphocytes and the human liver provides important cytokines for immune cell maturation. BLT mice have an improved immune response following antigen presentation, and are better suited to vaccine studies, antibody generation studies, and the development of helper T cell and B cell responses. Q. What is the nature of the thymus/liver transplantation in the BLT-NOG mice: solid tissue slices vs cell suspension? What are the recommended amounts of thymus/liver transplants per mouse? A. Fragments of thymus and liver are used, not cell suspensions. We perform unilateral implantation of 1-2 mm3 slices under the NOG renal capsule as part of the BLT procedure. Q. I'm interested in BLT-NOG model for tumor immunotherapy. At what age we should implant tumors in this model given that it may take 3-4 weeks for tumors to grow? A. We typically recommend tumor implantation at 10-12 weeks post engraftment of immune cells (BLT or HSC). huNOG mice are amenable to engraftment of a tumor at later ages if T cells are the target. T cells will be at significant levels at that point. In the BLT-NOG, T cells come up more quickly than in the huNOG, so if the focus of the study is on T cells, you may be able to implant tumors a bit earlier. If B cells are of interest, we recommend staying with the 10-12 week post-engraftment timeline. huPBMC-NOG mice are NOG mice engrafted with human PBMCs (peripheral blood mononuclear cells). They are a model for investigation of adult/mature cell populations. This model permits the assessment of effector and memory T cells. PBMC engrafted mice are optimally suited for studies immediately following engraftment as Graft vs. Host Disease (GvHD) limiting survival time to 4-6 weeks. In addition, the GvHD response can be used as a screening system for T cell modulating drugs, with readouts including body weight and clinical condition, liver injury and immune cell infiltration into organs. Q. Are the mice injected with total isolated PBMC or sorted cells? A. For the huPBMC-NOG model, we use the whole PBMC population. We can engraft sorted cell populations upon request. Q. In the huPBMC-NOG system, are the PBMC injected fresh or after being cryopreserved? A. Use of cryopreserved cells offers logistical benefits. Either fresh or cryopreserved is acceptable. Q. Is it possible to extend the lifespan of huPBMC-NOG mice? A. Yes, there are a few ways to do this. Onset of the graft versus host disease (GvHD) response is tunable in a few ways. Non-irradiated mice display increased survival time compared to irradiated mice. Lower PBMC doses show increased time to GvHD onset. Enrichment or strategic depletion of certain T cell subtypes can also affect survival time and severity of GvHD response (see Søndergaard et al. and Ishikawa et al.). Use of B2m deficient NOG mice will provide prolonged engraftment time. Recognition of murine MHC class I by human PBMCs is involved in the development of GvHD. As B2m deficient mice lack murine MHC class I, B2m deficient NOG mice are more resistant to GvHD development. Another method to extend the lifespan of huPBMC-NOG mice would be to treat with a standard of care drug like Enbrel, but this will likely affect other parts of the immune system that might be of interest in a study. Q. Is the drug metabolism activity of these immune system engrafted mice decreased? If so, doesn't this play a role in screening potential drugs? A. There is no known data on metabolism differences in immune system engrafted mice. Q. Other than bone marrow and spleen what other lymphoid tissues demonstrate normal immune cell infiltration, e.g. nasal-pharangeal (analogous to tonsils) and gut associated lymphoid tissue (GALT) and lung lymphoid tissues? A. There is some research in this area. Mice lacking Il2rg such as the NOG or NSG do not have cryptopatches, whereas NOD scid mice do. When engrafted via the BLT procedure, NOD scid mice can develop human cell repopulated GALT structures, but NSG mice do not. The hGM-CSF/hIL3-NOG may have some degree of improved reconstitution of secondary lymphoid and non-lymphoid tissues compared to the NOG mouse, but this remains under investigation. There is a greater degree of normal human myeloid cell migration and chemotaxis in response to stimuli in CD34-HSC engrafted hGM-CSF/hIL3-NOG mice compared to NOG mice. Q. Are the CNS resident macrophages, pericytes, microglia cells reconstituted with human cells? A. We are not aware of any data on this. Q. Which model is the best for detecting innate immune response? A. If the interest is in the innate role of myeloid cell lineages, the best model will be the hGM-CSF/hIL3-NOG. HSC-engrafted hGM-CSF/hIL3-NOG mice should meet most study requirements. If NK cells are of interest, the best model will be the hIL-2 NOG engrafted with HSCs. If the interest is in the innate role of T cells, the huNOG would be ideally suited. Didn't find your answer? Post your question here and our scientists will contact you.